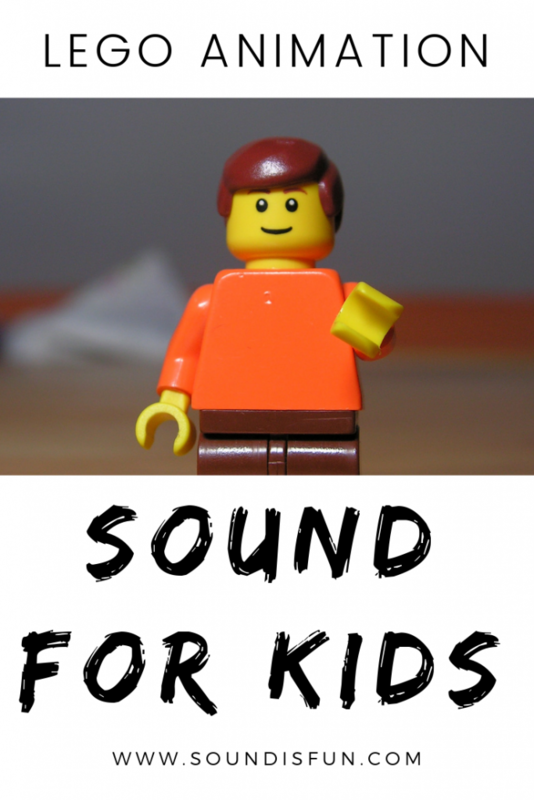 Sound for Lego Animation Movies ~ SOUND IS FUN! My 9-year old nephew got a book for Christmas on stop-motion animation with Legos. When I saw his first videos, they were so fun I had to add sounds to them. With a few simple suggestions, he was off and running doing all his own sound design. I’ll walk you through some recommendations on what software to use to add sound, where to find sounds, and what kinds of sounds to look for. Klutz Lego Make Your Own Movie Kit. It even comes with the legos, backgrounds and the baseplate. It’s easy to get started and a movie can take as little as 8 minutes to make. The sound really brings the dinosaurs to life! Backgrounds. These are sounds that help establish where you are. In the above video, I used a jungle and wind blowing through trees to create the environment. Some other ideas for backgrounds are traffic, people talking, crickets, birds… if you hear it in real life, it probably exists in a recording. Sound effects. These are individual sounds like the eggshell cracking, dinosaurs roaring, and walking. You have to get creative searching for sounds sometimes and that’s where this gets fun. Let’s say you want to make the sound of an alien spaceship. We don’t have real recordings of alien spaceships so how do you create one? You could search a sound fx library and get lucky and find some alien or spaceship sounds someone else created. Or, you could ask yourself, “what else does an alien spaceship sound like?” You could try searching for sounds like “buzz,” “spin,” or “whoosh” and see what you find. Sometimes it takes a combination to get something that works. Maybe some underwater bubbles added to a refrigerator buzz and a weed wacker would work. With the dinosaurs, I had some decent dinosaur sounds but I probably would have also searched for “roar” (like a bears or lion) for the big ones. Little dinosaurs might sound like birds (crows or parrots come to mind). Your software might be able to do effects like pitch shift or reverse to come up with some creative sounds, too. If you want to add music to your videos and put it online (on Facebook, Youtube, etc) copyright is a concern. Facebook, for example, will block some videos if it recognizes copyright music. If you’re just doing it for yourself (or to send to family), it’s ok to use a commercial song but please purchase it. You can also search for “royalty-free music.” One site I like is Musopen.org. To add sounds to a Lego animation movie (or any stop-motion animation), I would look for video software, not audio software. Most audio software (that’s simple enough for kids to use) is geared towards recording and some can’t load a video. Video software, on the other hand, is designed to take a movie and change it (either by adding audio or adjusting the picture). For Mac I would absolutely recommend iMovie. It’s easy to use and it comes free with a lot of Macs. If you don’t have it, it’s under $15. You can even use it on a tablet although that may complicate getting sound fx. Since I’m a Mac user, I can’t offer much personal help here (sorry…) but here’s some options I came across that may be worth trying. I would try a demo/free download if possible before purchasing. A lot of sound designers record their own sounds, too. Ai-Ling Lee, one of the only women ever nominated for an Academy Award for Sound Editing, carries around a small sound recorder with her everywhere. Anytime she hears an interesting sound she records it. These sounds are edited and added to a sound fx library. If you’re interested in recording your own sounds, a cell phone or tablet with a microphone is fine to get started! 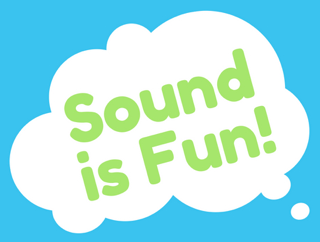 It’s really about learning to listen for interesting sounds or sounds you can’t find in a sound fx library but can’t use. Or, maybe you want to use the sound of your own cat or dog! Here’s a couple movies where my nephew did his own sound. How cool is this?